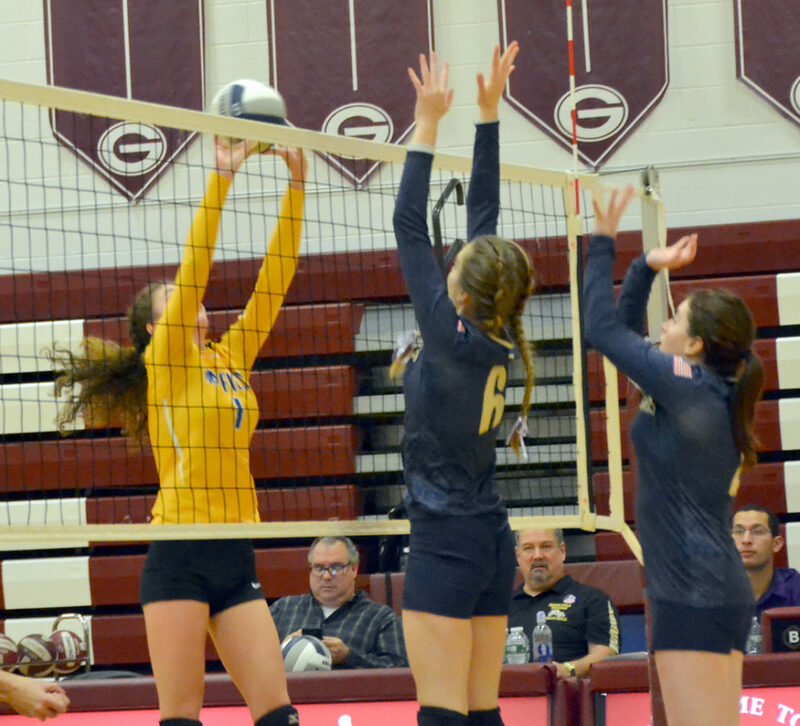 GLOVERSVILLE — Having won five of the last six Section VII, Class D titles, the Lake Placid volleyball team is no stranger to regional play. 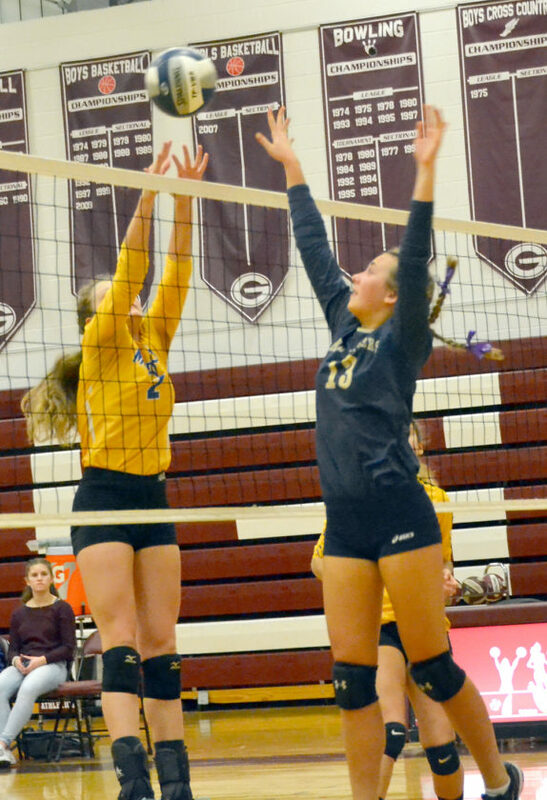 However, with a roster that includes just three seniors, the young Blue Bombers quickly found themselves in big hole in Tuesday’s regional semifinal contest against Mayfield at Gloversville High School. The Lady Panthers scored the first six points of the match, setting the tone for their victory over Lake Placid. Mayfield went on to win, 3-0, by scores of 25-9, 25-15 and 25-11. Mikayla Myers led Mayfield with 13 points, seven kills and five digs, while Emily Mormando posted 20 assists, 11 points and three kills. Amy Laubenstein notched 10 points and three aces for the Lady Panthers, Katie LaGrange had three kills and two blocks, and Samantha Kent added eight kills, seven points, three aces and two blocks. Dylan Bashaw recorded four assists and two points for Lake Placid, while Barrett Smith posted eight digs and two points. Karis Hudson finished with three digs for the Blue Bombers, Evelynn Sharp posted three kills, three digs and two assists, and Isabella Armstrong had two aces and two digs. Grace Crawford recorded four kills, three digs and two points for Lake Placid and Rose Burns added five digs. 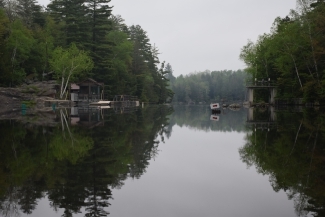 While Lake Placid has reached regional play five times in the last six seasons, Mayfield was making its first appearance since 2015. The Lady Panthers won the Section II, Class D title in 2015 and played Lake Placid in the regional semifinals at Gloversville High School, winning 3-0. The rematch had a similar outcome as Mayfield rode a six-point service run from Mormando that included three kills from Myers to an early 6-0 lead. The Lady Panthers continued to extend their advantage over the Blue Bombers to 14-2 after four straight service points from Myers and a pair of kills from Kent. Mayfield went on to win the opening set 25-9. Lake Placid got off to a better start in the second set, as the teams swapped the lead in the early going. Mayfield began to take control thanks to a three straight service points from LaGrange and three kills from Kent to take an 11-6 lead. Kent helped extend the lead with a four-point run that included three aces to make it 15-6. Mayfield subbed liberally in the second set, getting playing time for some of its younger players. “It was nice to get some of the other girls some experience in a regional match,” Rovito said. The Lady Panthers won the second set, 25-15. Lake Placid started quickly in the third set, getting two service points from Bashaw on its way to a 5-1 lead. After a kill by Myers ended Bashaw’s brief flurry, Myers stepped to the service line where she ripped off eight straight points to lift Mayfield to a 10-5 lead and forced Huber to call a timeout. The Blue Bombers were able to cut the Mayfield lead to 10-7 after back-to-back points, but they got no closer the rest of the way. The Lady Panthers pulled away thanks to a four-point run from Mormando, a five-point run from Laubenstein that included three aces, and a pair of kills from Myers. The Lady Panthers won the final set 25-11 to punch their ticket to the regional finals. “We didn’t have a lot of opportunities to set things up on offense, but we played well,” Rovito said. 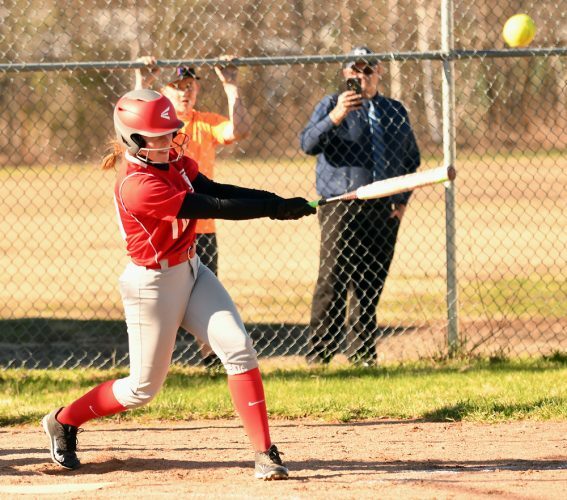 Mayfield (16-1 overall) will face Section X champion Chateaugay in the Class D regional finals Saturday at Massena High School at 4:30 p.m. The winner advances to the state semifinals at the Glens Falls Civic Center on Nov. 17 and 18. “It’s going to be a long bus ride, but we’ll be ready,” Rovito said. Lake Placid finished its season with a 3-15 overall record.